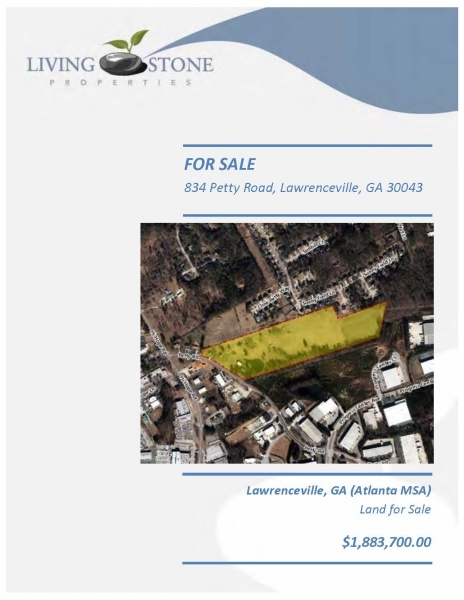 Property Description: Living Stone Properties is pleased to offer “FOR SALE” this property located in Lawrenceville, GA. 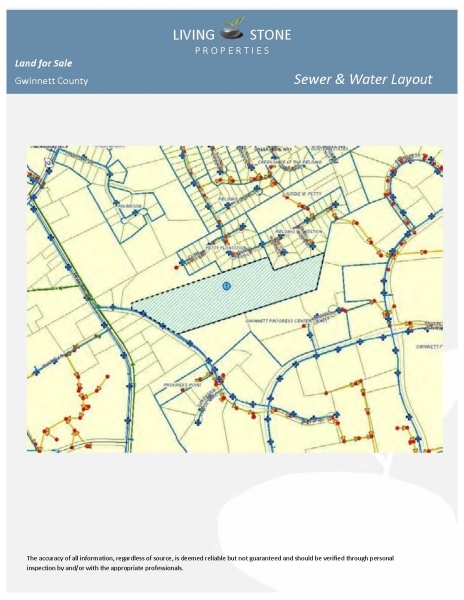 Excellent for a commercial development. The subject property of approximately 28.98 acres. 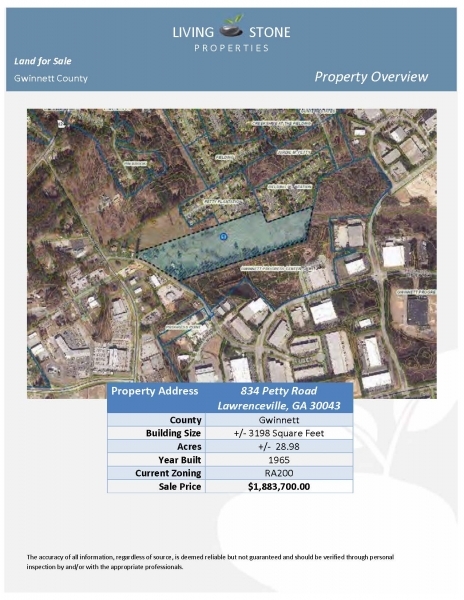 The property is located next to the Gwinnett Progress Center. 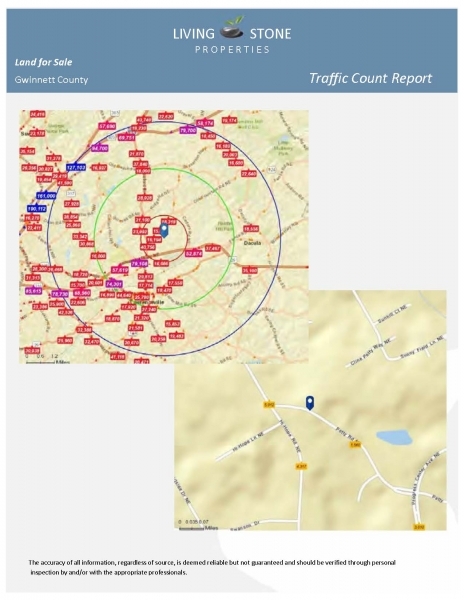 It is less than 1 mile from Highway 316, 4.2 miles from Gwinnett Medical Center in Lawrenceville, and is convenient to the main arteries to other business, medical and economic destinations in the Atlanta MSA. 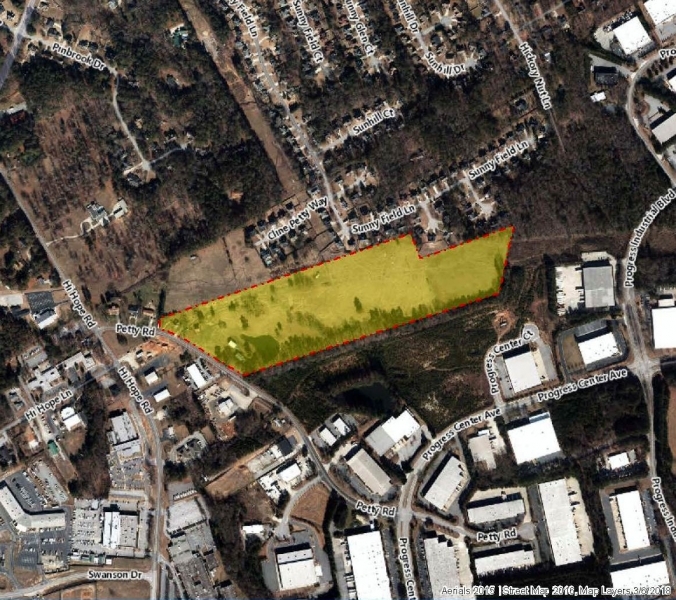 The property is less than 3.5 miles from downtown Lawrenceville, a growing, thriving center of activity and commerce around the Gwinnett Historic Courthouse Square. 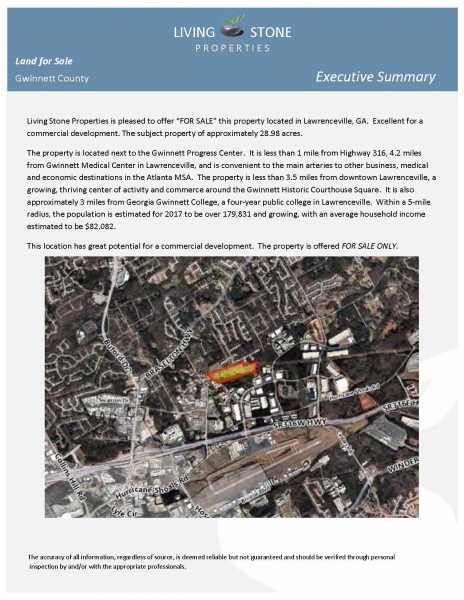 It is also approximately 3 miles from Georgia Gwinnett College, a four-year public college in Lawrenceville. 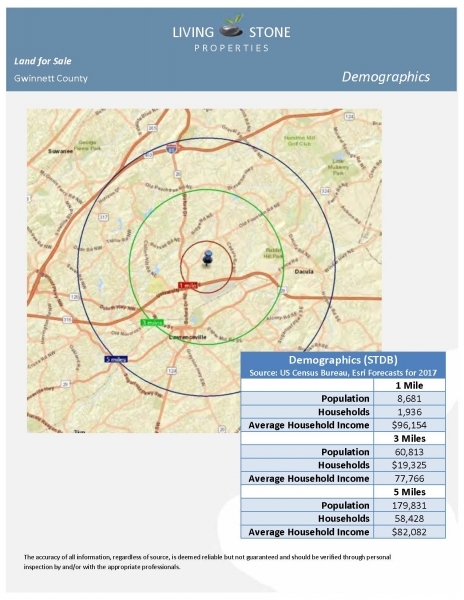 Within a 5-mile radius, the population is estimated for 2017 to be over 179,831 and growing, with an average household income estimated to be $82,082.